Dragon Age: Inquisition's next major patch won't just fix bugs. Instead, BioWare wants to introduce some free content to the medieval RPG. 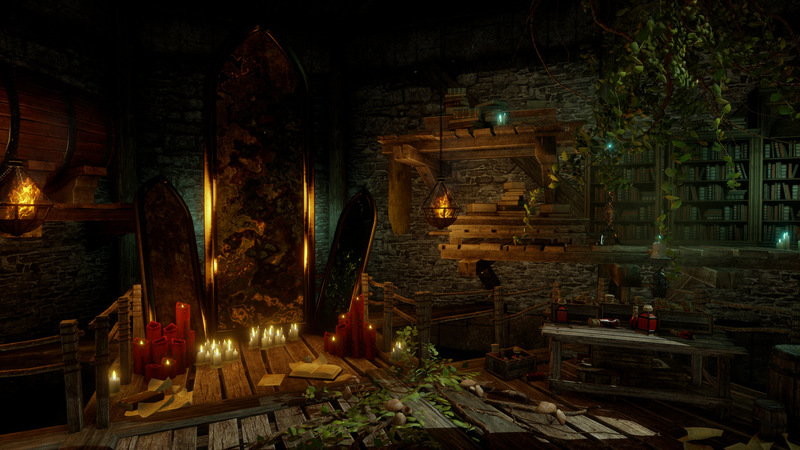 Patch 5 will introduce the Black Emporium, an underground shop first introduced in Dragon Age 2. 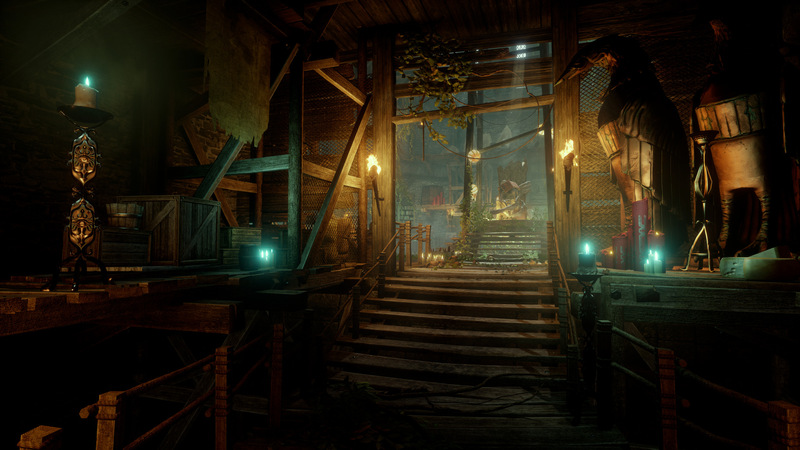 This black market, run by a mysterious immortal, sells a wide range of exotic gear. Players can find weapons, accessories, crafting materials and accessories there. There's also a Mirror of Transformation in the Emporium that allows players to change their character's voice and face. This update also brings a much-needed improvement: party storage. You can access the storage at the Undercroft in Skyhold. At the keep, you can also access a item tinter that lets you change the color of your armor. Bandits will surely quake at the sight of your magenta-clad party. "In efforts to support different playstyles, we’ve also included an auto-attack key for single player," BioWare said on their blog. "We’re also including the option to adjust the size of subtitles, and added a shader quality setting to the graphics options, giving players more versatility when running Inquisition." 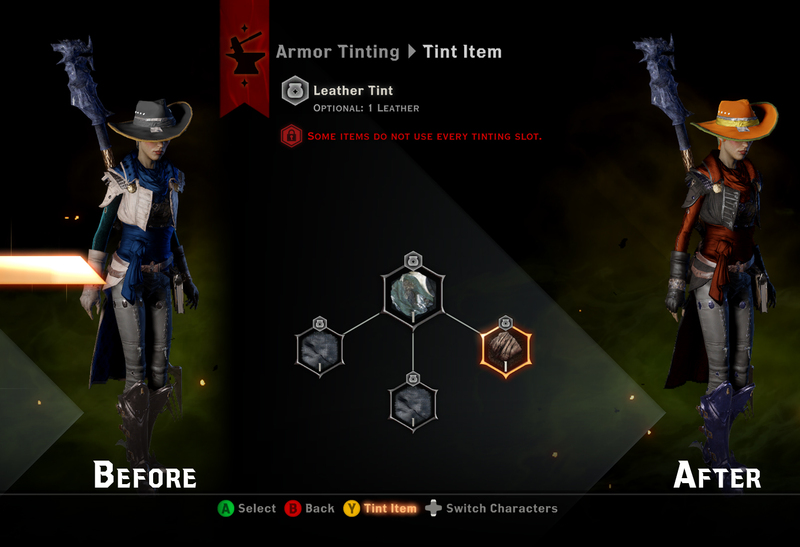 Unlike previous updates to Dragon Age: Inquisition, Patch 5 can be tested prior to its official launch. BioWare (taking another page from their DA2 playbook) will be holding a beta program so that PC players can get some hands-on experience with the patch and offer feedback to the developers. This beta won't be available to everyone, though. BioWare plans to open up sign-ups for the test through Dragon Age Keep in the "near future." One thing this patch won't include, though, is mouse button rebinding. BioWare says that they weren't ready to get this feature ready in time for the testing. It should be implemented in the game somewhere down the road, though. "At BioWare, we’re always looking for new ways to empower our players. Whether in person or online, we firmly believe in collecting feedback and working with our community to ensure we’re addressing issues important to both new and experienced players." "For Dragon Age: Inquisition, we’ve developed a faster and more compressed patch schedule than any prior BioWare game. However, due to the nature of the certification process, it can often still take weeks after developing a fix to release it on different platforms. Because of this, we continue to explore new ways to foster better communication between our players and developers." Dragon Age: Inquisition launched back in November on Xbox One, Xbox 360, PS4, PS3 and PC. You can find out what we thought about it by reading our review.